Ah, the dreaded 3am alarm. I may have been excited but I can't say I was looking forward to that, especially after not being able to sleep well. I wasn't going to let sleep deprivation kill my vibe, so I jumped out of bed and within 2 hours I was sitting in a taxi on the way to the train station to make my way to London! Finally, after many hours travelling - we arrived! It was so beautiful and warm and I just couldn't stop myself from running to the entrance. Whilst the amount of refurbishment and scaffolding was a major disappointment, everything still looked so beautiful and clean! I was so shocked! Photos just don't do it justice, it was glorious. Of course, the first stop was to grab my Minnie Mouse ears (...and a few bits and bobs from the same shop) and then make my way towards the park. To my surprise, I spotted a meet and greet with Minnie and the queue wasn't long at all, so we registered our PhotoPass and stood in line. It was so lovely and when I told her I was celebrating my birthday we had a little dance and she signed my book "Happy Birthday, love Minnie" (so cute!!). The rest of the day went by in a blur, we were lucky enough to get a front row seat for the parade and the amount of character interaction I got was unbelievable (much better on my birthday, but I'll get to that later); I definitely think that the birthday badge had a lot to do with it. We checked in to our hotel after that - Hotel New York. 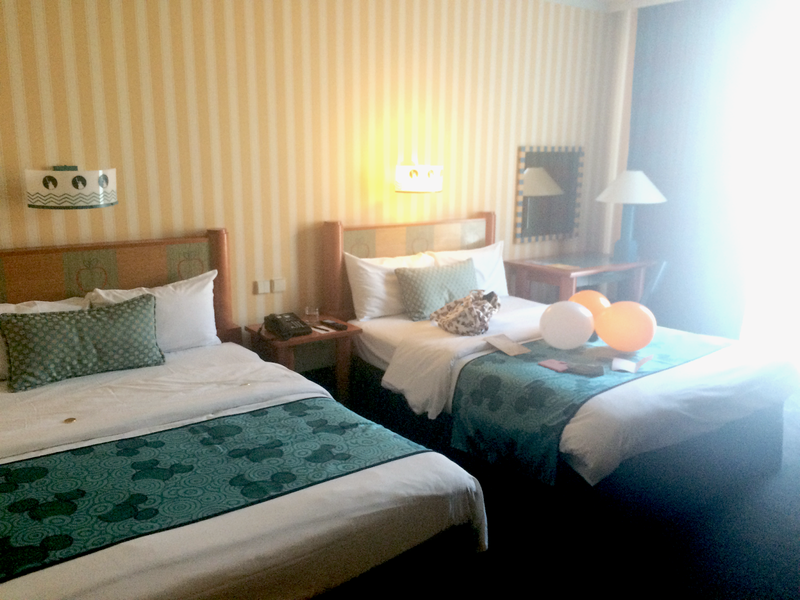 It was such a well themed hotel and when I entered my bedroom, I saw that the staff had left me some balloons as well as a birthday card on the bed. I was really impressed with the room and would 100% recommend it if it's within your budget. The staff were very helpful and the food served at breakfast was delicious. It's also a very short walk from Disney Village/the parks, with a lovely view of Lake Disney. As we wanted to make the most of our visit, we ensured that we made it down to breakfast for 7am to get in to the park for extra magic hours (all Disney hotel guests are given the chance to have 2 hours park access before the general public, win!). I'm not much of a breakfast person, so I stuck to the pastries and was more than impressed. 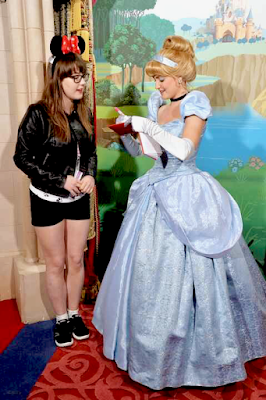 The first thing on my agenda was to do a character meet and greet, as you tend to get quite a few in the morning. Yes, I met everyone's favourite duck and what a gentleman he was! 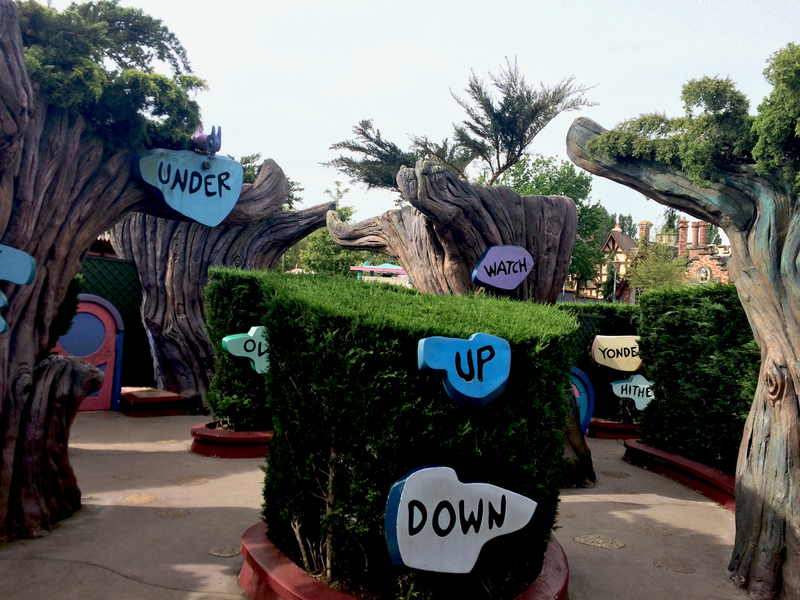 Unfortunately, the queues were far too long for Goofy and Chip & Dale and we wanted to get to the Studios Park for a day full of rides. I couldn't possibly give the order of the things we did. 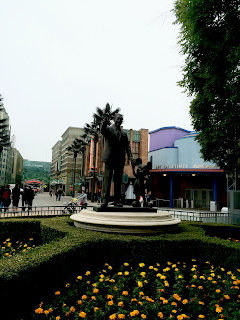 I definitely recommend visiting The Art of Disney Animation, it's a really good experience if you're interested taking a behind-the-scenes look at how the animated features are made. I was ecstatic to see such a short queue to meet Aladdin and Jasmine in an impromptu meet and greet, I spent a good few minutes with them and they were both so nice. Couldn't resist taking a selfie with one of my favourite princesses, either! Another 'must do' meet and greet is definitely Spiderman and I have a feeling it may have been the longest one we did. He was hilarious and we had so many good photos together, it's definitely worth the long wait! In terms of rides, we managed to get quite a few done: Crush's Coaster, Tower of Terror, Slinky Dog's Zig Zag Spin, RC Racer and Toy Soldier Parachute Drop. Unfortunately, there wasn't any time to go on Ratatouille and that's definitely the first ride I'll be going on when I visit again. Then, it came to the longest queue yet. Princess Pavilion. I can't say I was too keen when it came to the organisation as the queues were out of control and it did get a little boring after a while. The stained glass windows were stunning, but there was only so much standing around I could take before collapsing to the floor. 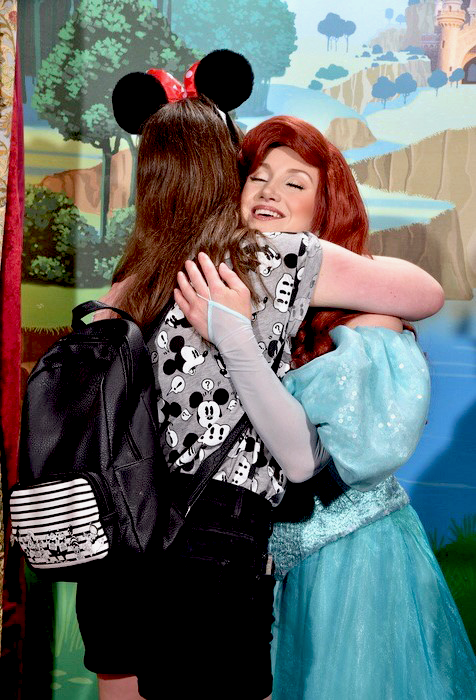 I was quite nervous that it would be a huge letdown, but as soon as I saw Ariel I was beyond happy. Ariel was my favourite princess when I was younger, infact I watched The Little Mermaid so much that I actually damaged the VHS (remember those?). We chatted a lot about all the 'friends' of hers I had met so far as well as my birthday, we also had a lot of cute photographs taken. Once we left the Princess Pavilion, we headed straight to Plaza Gardens for our dinner. 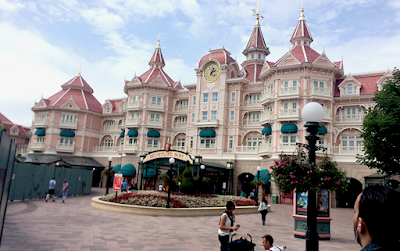 Plaza Gardens is a buffet style restaurant with the most wonderful decor, reminiscent of Victorian times. The food was delicious and of course, you could eat as much as you want! 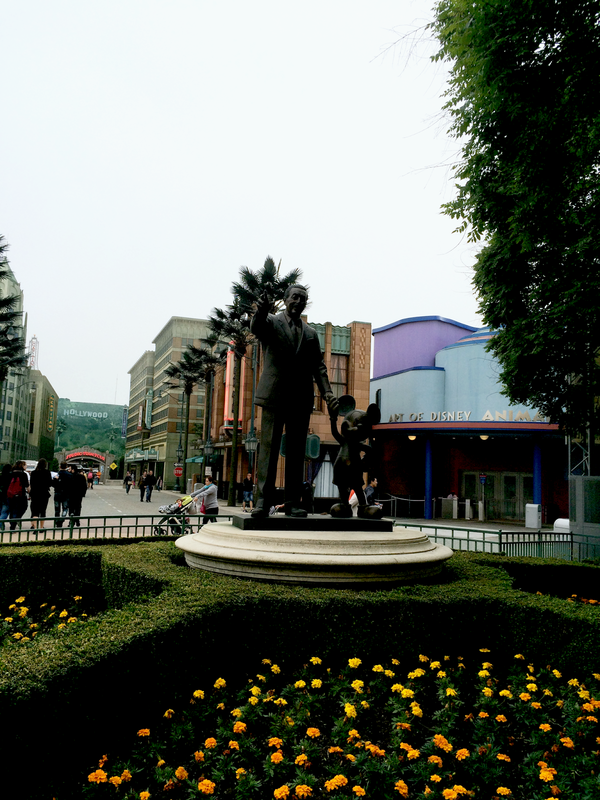 Following that, we visited Discoveryland and managed to get a couple of rides in. One of my favourites was Buzz Lightyear's Laser Blast, it was so much fun and I actually rode it twice because I just couldn't get enough of it. I also went on Orbitron, as well as the main event - Space Mountain. I don't think words can describe that ride, it was incredible. We decided to spend the evening in the shops and therefore missed the fireworks display, but I was so happy that we got to visit the shops and we did buy quite a few things...well, that may be an understatement. It's my birthday!!! I was determined to make the most of this day, so I rushed my breakfast and headed straight out of the hotel. 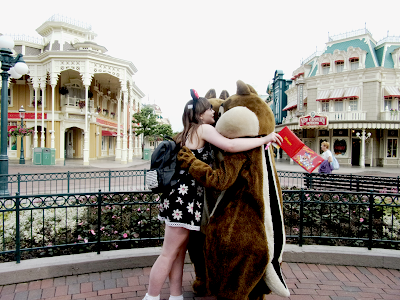 The first stop was Chip and Dale, I love these cheeky chaps!! They made such a fuss over my mum and I, but the icing on the cake was when one of the cast members actually recognised me from the Spiderman meet and greet the day before. We then managed to fit in a meet and greet with Goofy and we had a celebratory birthday dance. It was then time to fit some rides in before it got too busy: Pinocchio and the carousel. 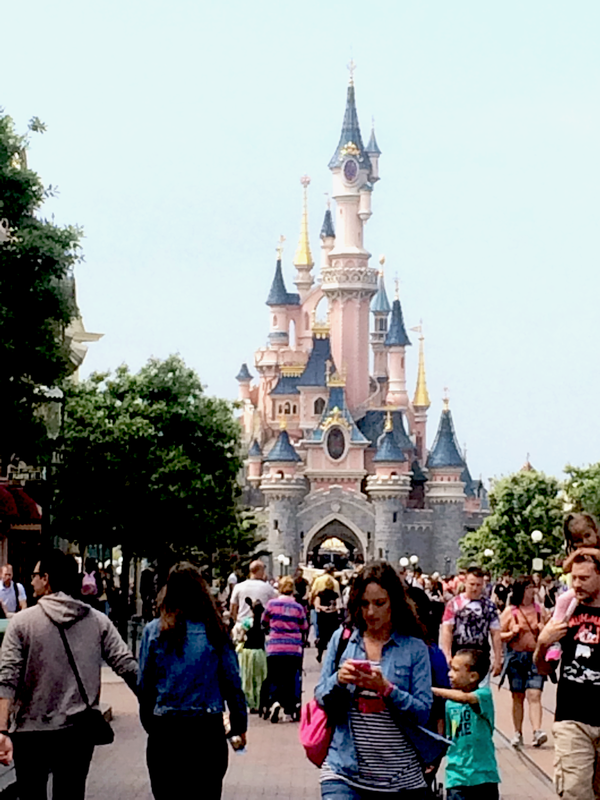 We then decided to explore Sleeping Beauty's castle aka one of the most aesthetically pleasing places I have ever seen. The first attraction I thought of when I found out I was going to Disneyland, was Alice's Curious Labyrinth. Alice in Wonderland is one of my all time favourite films and I was just so excited to explore the labyrinth. It did take us a good 30 minutes to find the Queen of Hearts castle, but it was so much fun in the process. 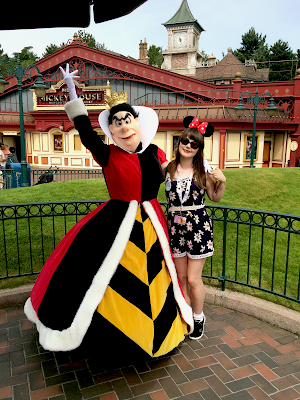 It was after that, that we queued to meet 'Alice or friends' and even though I was hoping to meet Alice, we met the Queen of Hearts and she was just as sassy as I'd expect. 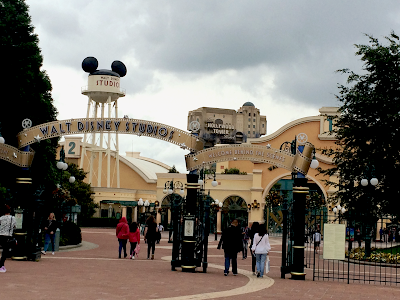 We then headed off to lunch as we had reservations at Bistrot Chez Remy - the Ratatouille themed restaurant. I was so impressed with the food and layout of the restaurant, it was themed wonderfully and I just didn't want to leave. 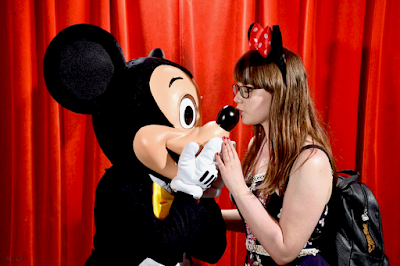 Of course, it's not a Disney holiday without meeting the main man himself: Mickey. We queued for around 45 minutes in his theatre to meet him and I felt like an ecstatic child. Meeting him was such a wonderful experience and he made such a fuss over us. 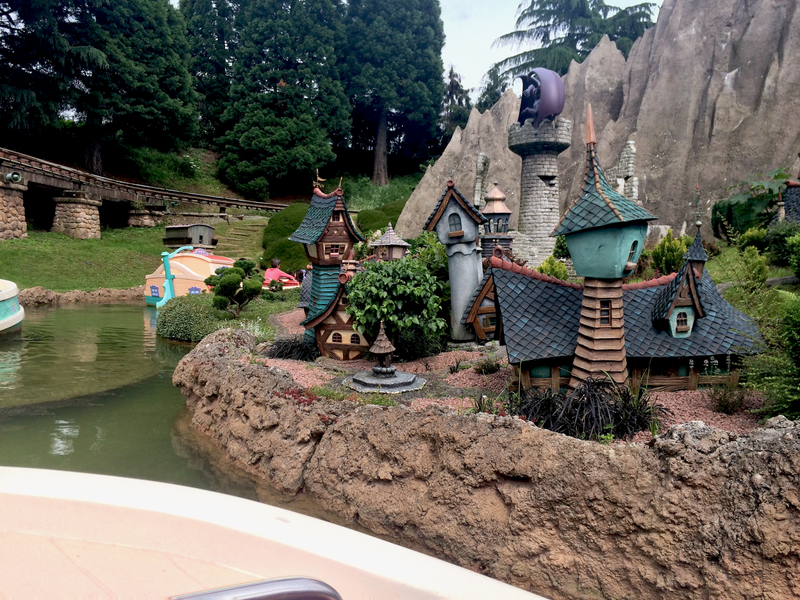 The next item to cross off the bucket list was to visit Storybook Land and take one of the canal boats around the various scenes. This was the most relaxed I'd been all holiday and everything about it was so magical. Time for the main event, once again! We were lucky enough to get front row for the parade again, so once again this guaranteed a lot of character interaction. I was wished happy birthday by Cinderella and her prince; Anna blew me a kiss; Flynn blew me a kiss; the Mad Hatter asked me if I'd be returning the next day for my Unbirthday; Bert kissed my hand and I got so many waves from the other characters. 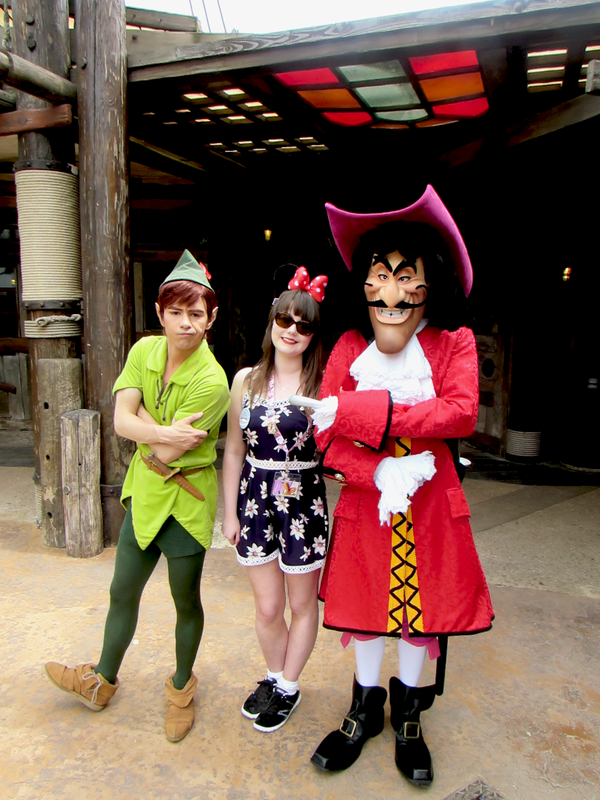 Of course, I can't leave out my interaction with Peter Pan who did remember me and he recognised me straight away! 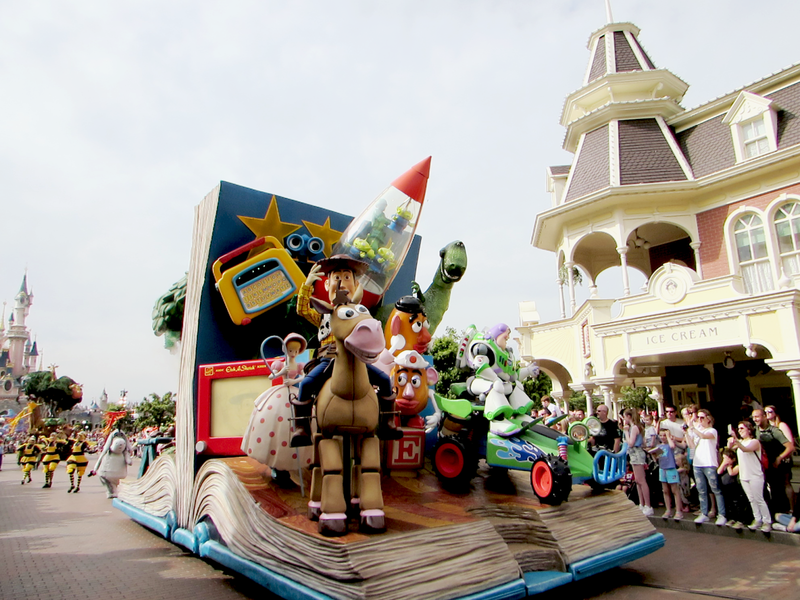 He pointed me out as the float made it's way down Main Street and he stuck his tongue out at me, I then blew him a kiss and he pretended to catch it and put it in his pocket and then I got a kiss back and cute wink from him. So sweet! 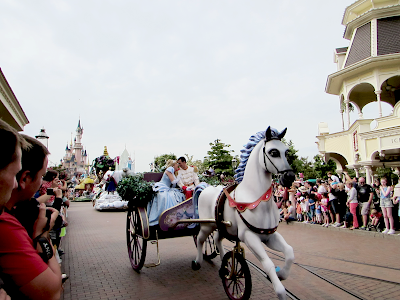 I did get a little emotional towards the end, because I realised it would be the last time I'd see the parade. However, it wouldn't be long until my birthday meal with characters at Cafe Mickey. 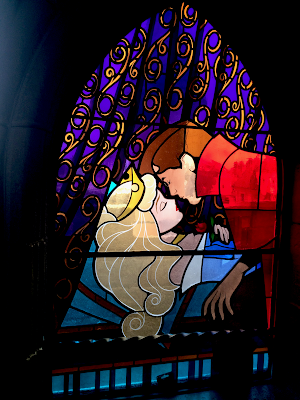 I would definitely recommend character dining at Disney, it's such a simple way to get amazing interactions. We stayed at Cafe Mickey for just over 2 hours, the service was fantastic as were the characters I met. 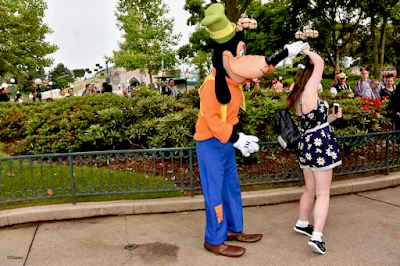 I managed to meet Pinocchio, Gepetto, Pluto, Goofy, Minnie and Mickey and they were all so lovely - I even got invited to dance around the room with Mickey. It was then time for our final Dreams and yes, more tears were shed. I can't wait to see what they do differently for the 25th Anniversary next year. I was not prepared for the emotions on the final day and decided to make the most of the morning before we left. We began by spending a bit more time in Disney Village (I'm embarrassed to state the amount of money spent!) 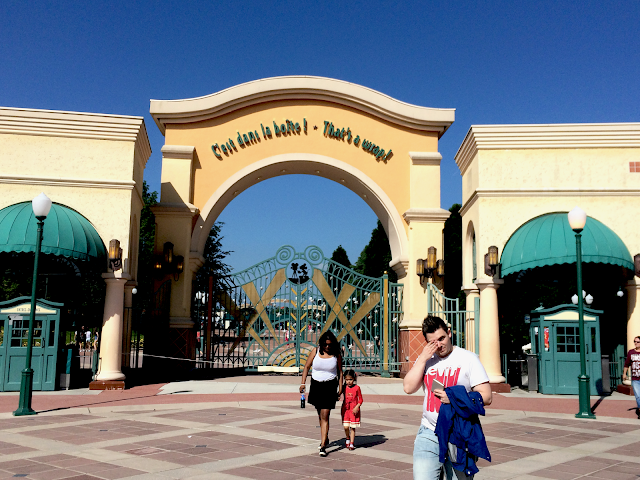 and then headed over to the parks to go on a few more rides. We then queued for Princess Pavilion again and even though we started queuing at 9:20am and it didn't open until 10am, we still ended up waiting over an hour. It was all worth it though as we managed to meet Cinderella, who was just as lovely as expected. It was then time to meet Winnie the Pooh and yes, my inner 6 year old was ecstatic and once again, I was recognised by the same cast member who was at the Peter Pan meet & greet the day before - crazy! My final meet & greet was with the Queen of Hearts (once again) and the Mad Hatter, who was such a laugh. 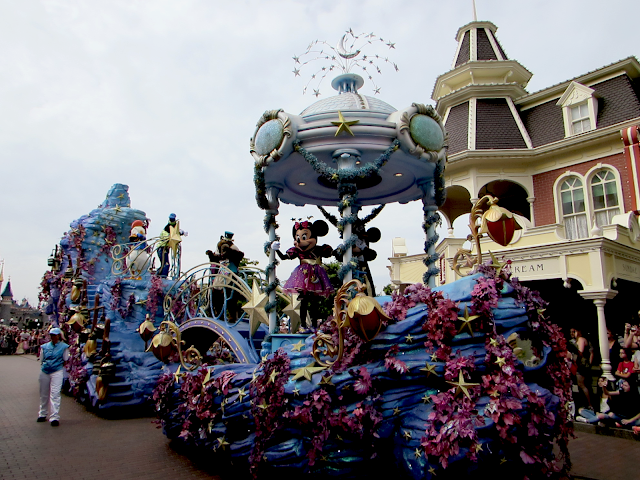 We had originally queued to meet Alice and the White Rabbit but their time slot was over before we had chance, but I don't regret staying one bit. I was a teary mess on the way home, but now knowing that I'll definitely be returning next year for the anniversary celebrations has made me so happy and I'm really grateful that I'll be able to visit the happiest place on earth once again.